We know that most of the country (including us in the PNW) is not experiencing the cooler weather that Autumn brings as of yet. But my friends, it will come sooner or later. So why not embrace the newness of the fashion fall season right now, right? A classic Chelsea boot will be a must have for this season. We particularly love this style from P.Monjo. We like the rich russet brown color. A nice alternative to classic black. We love clogs. When Coclico marries an ankle boot and a clog together, they create magic! This Coclico “Trixie” boot is the perfect baby don’t you think? Our perennial favorite boot factory, Fiorentini and Baker has a new style for this Fall called the “Toky”. It is the perfect wrap-up ankle boot. Wear these all winter long with your favorite skinnies, leggings, and dresses. 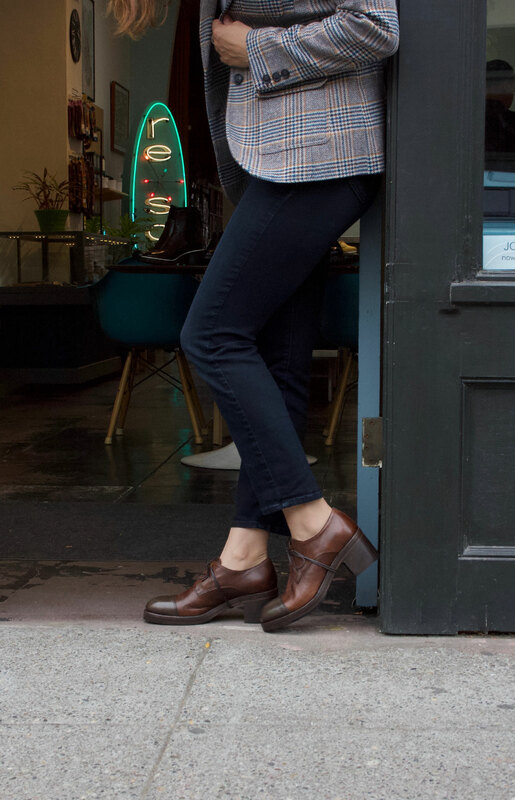 Oxfords are always a tried and true shoe for us here at re-souL. MOMA has designed the perfect saddle shoe for the fall season. We love the oiled suede against the bronze metallic leather. Unique, yet very versatile. What are you looking forward to wearing when the weather changes? Have a great weekend!